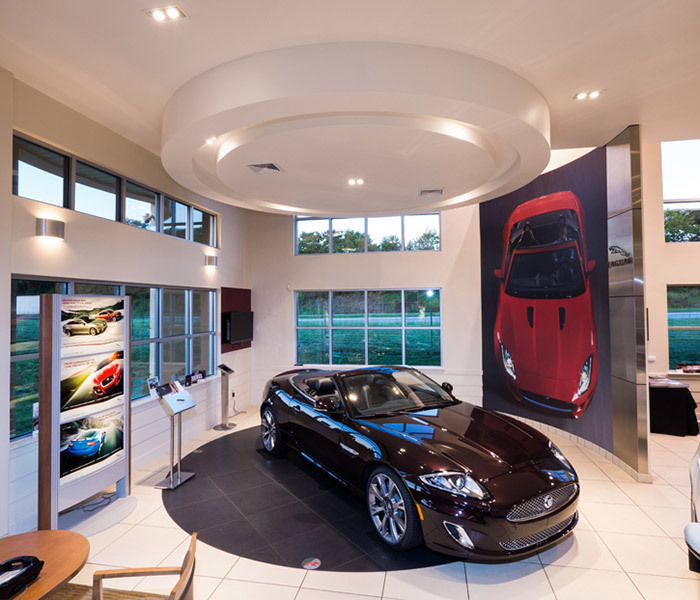 While your auto dealership showroom shouldn’t outshine the cars on display, we believe it should be a close second. If your showroom is outdated, the automotive brand is recommending a renovation to the showroom and vehicle service center, or you are ready to break ground on a brand-new facility, Mowery has experience in these areas and can help complete your project on time and budget.With more than 15 years working in the auto industry, our experienced team knows what to expect with an auto dealership build or renovation. We’re familiar with the tight schedules and budget constraints many auto dealership owners face, and understand that during renovations, your customers and staff still need to have a clean, safe and appealing location to do business. We’ve proven that we can complete construction within these parameters, which is why brands like Audi, BMW, Jaguar, Land Rover, Hyundai, Buick, Mercedes, Toyota, Lexus, Honda and more have trusted Mowery with their auto dealership construction projects.Contact us today to learn more about our approach to auto dealership construction projects.